THE PERFECT VISUAL STIMULATION. 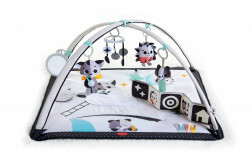 The 3-in-1 development mobile's design uses contrasting black & white colors to encourage baby's sight from day one. 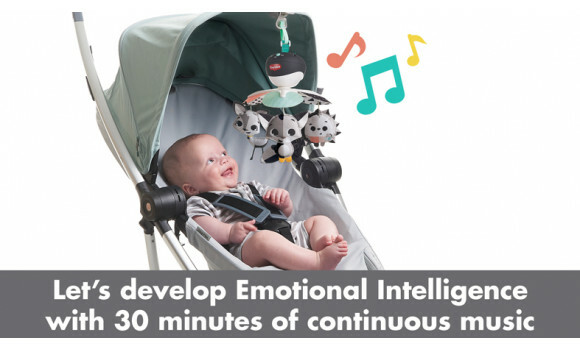 CALMING AUDITORY STIMULATION: 30 mins of continuous music featuring 5 different tunes. 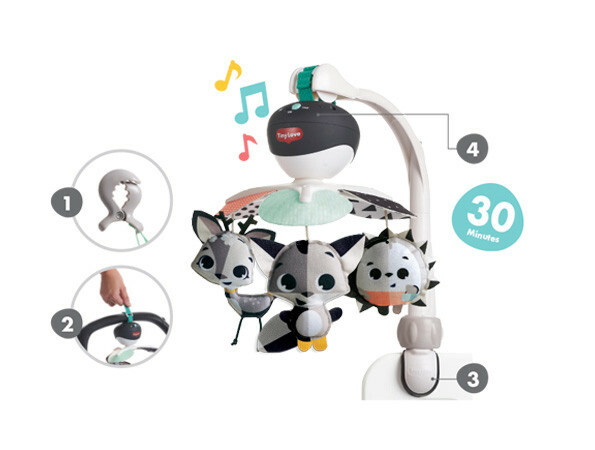 Fun music at home and on the go. 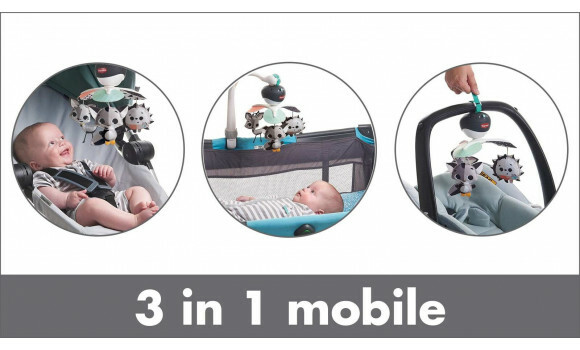 3-IN-1 ON THE GO TOY: designated connector allows you to attach the mobile to most play yards, travel cots, strollers and bassinets. 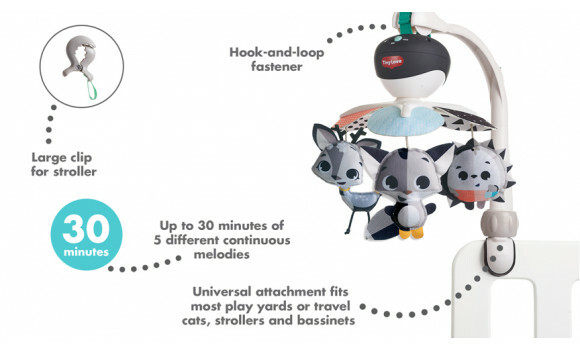 ENGAGING DESIGN. 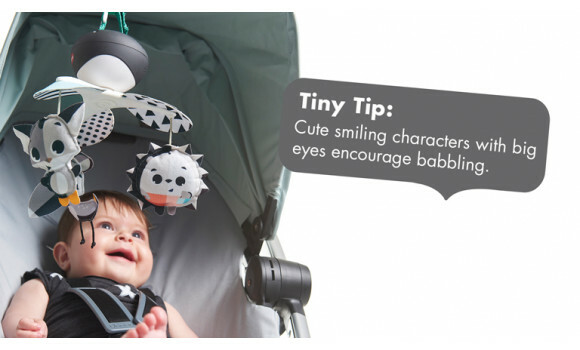 Adorable Magical Tales™ characters engage baby with their clearly defined design and smiling faces. 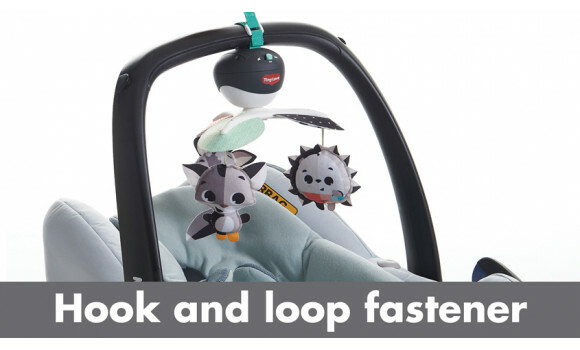 Attach the Take-Along Mobile to your infant carrier, play yard, travel cot or stroller to take development and fun along - with style! 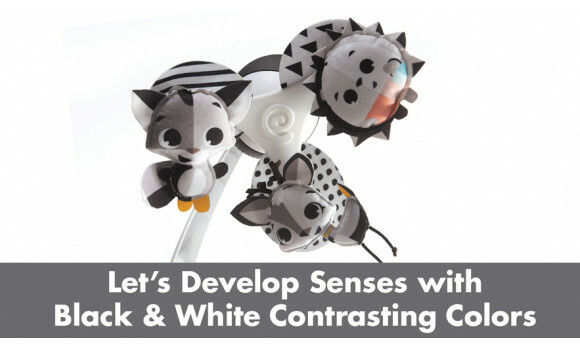 The mobile's contrasting black & white design offers the ideal visual stimulation for younger babies whose sight is still undeveloped and blurred. 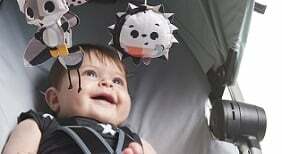 The clear design and smiling faces will stimulate baby's sense of sight and encourage its development. 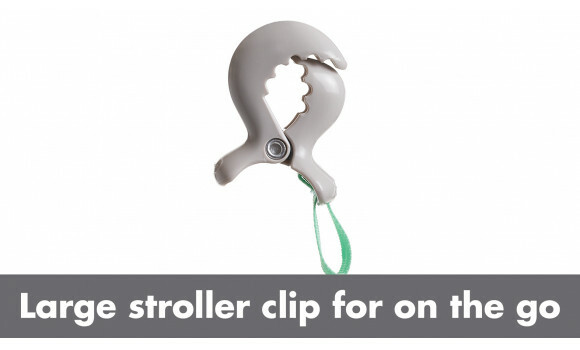 Attach it to your baby's play yard when travelling. 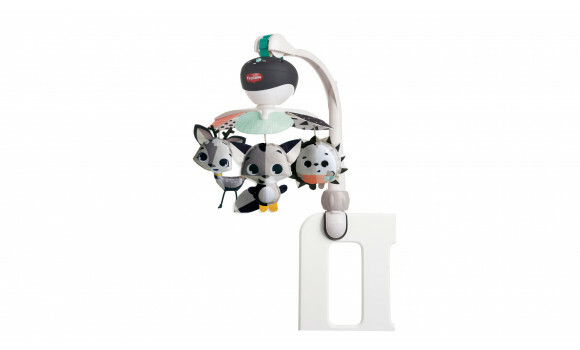 Hang it on your little one's stroller for some development and fun on the go. 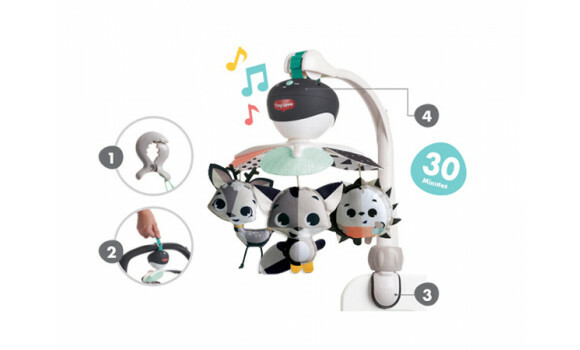 The unique black & white design, the smiling characters’ large eyes and the mobile’s slow motion along with the soft music offer important auditory and visual stimulation, encouraging the development of baby's senses. 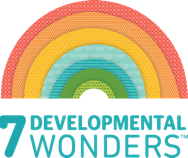 Feeling secure is a crucial element in baby's proper development. 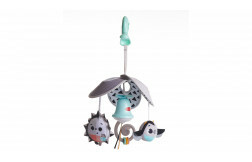 Having soothing , familiar music available in unfamiliar, new places reassures baby and supports emotional development. 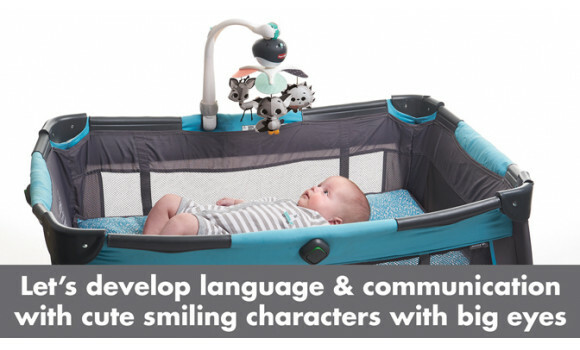 While babies lie in their crib or sit in their stroller, cooing at the friendly mobile characters, smiling and practicing some baby talk, they practice their communication and language skills.